What is it that makes us successful? Entrepreneurial? Happy? 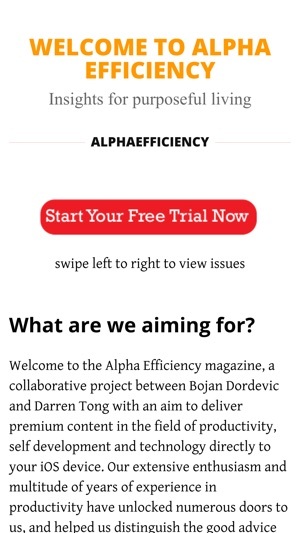 These are the questions that drive us at Alpha Efficiency and we unearth the freshest insights into how to achieve this in our modern, technology-driven world. 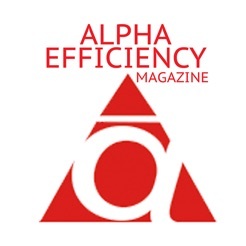 Alpha Efficiency productivity magazine is a monthly digital publication that brings you fresh, original articles each month from the brightest minds in technology, productivity and business. 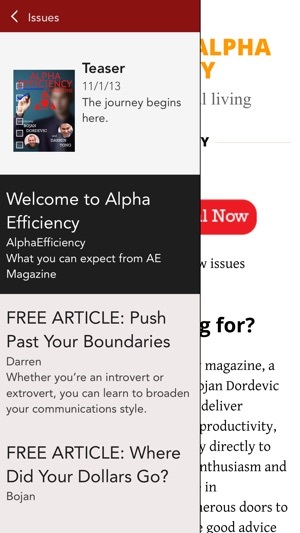 With interviews with inspirational figures, the inside track from the brains behind brilliant startups and personal reflections of our own journey to be better, more productive individuals, Alpha Efficiency Magazine is the complete package for those who are open to new ideas and inspiration. Subscribe today and you can access both our free "Teaser" issue and the latest issue of the magazine FREE for up to two weeks. We publish issues monthly. Subscriptions are $3.99 per month for access to the current and all subsequent issues, or you can purchase individual issues for $5.99. • Subscriptions may be managed by the user and auto-renewal may be turned off by going to the user's Account Settings after purchase. • Subscription automatically renews unless auto-renew is turned off at least 24 hours before the end of the current period. • Account will be charged for renewal within 24 hours prior to the end of the current period, at the monthly rate at the time of renewal. 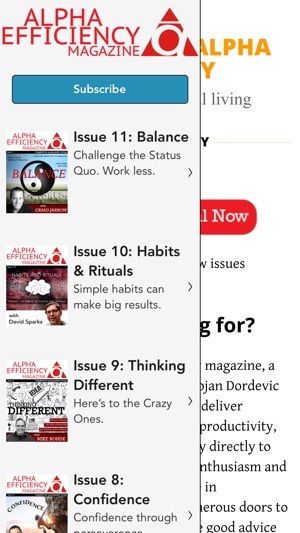 • Any unused portion of a free trial period will be forfeited upon purchase of a subscription. I really wanted to like this magazine, as productivity is a subject of great interest to me. However, what I got read more like a collection of seven blog posts. I was expecting longer form articles in a magazine format. The content seemed a bit lightweight to call it a magazine. The main turnoff for me, though, was that it looks like most of their content will be based on a homegrown system the authors call CORE. As a dedicated practitioner of orthodox GTD, I'm just not interested in CORE. Admittedly, this is a personal preference. I do wish the authors luck with this endeavor. Perhaps I'll check in later this year to see how it's evolved, but for now, I won't be subscribing. Didn't know what to expect, but I am glad I've hit the subscribe button! Very refreshing and unique articles. It's obvious that these guys were testing out the things before writing about them. CORE is interesting concept and I like how liberating it feels to have someone tell you: "it's fine, you can do it your own way". Look forward seeing what they come up with next!